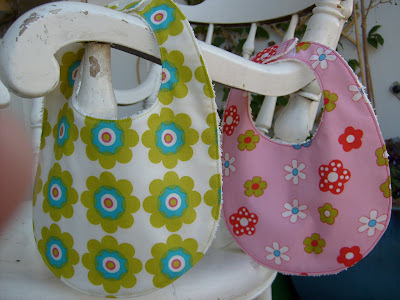 Yesterday I finished and gave away these two new bibs. and one for a beautiful boy. The fabric was bought at Panduro. 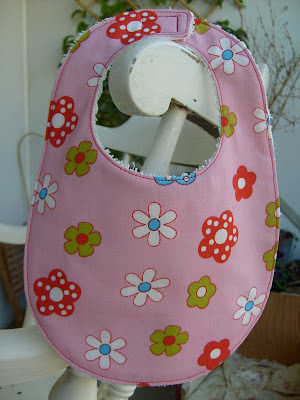 I know that Amy Karol has a pattern for a bib like this in her inspiring book Bend the Rules Sewing. 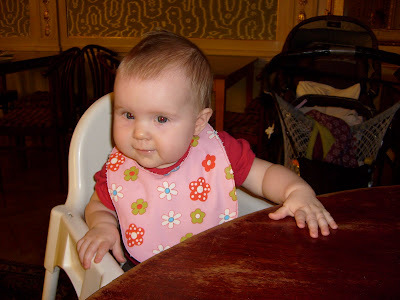 But I had actually traced an old shop bought bib from one of my children before I got her book. A project from Bend the Rules Sewing will come up soon on my blog! 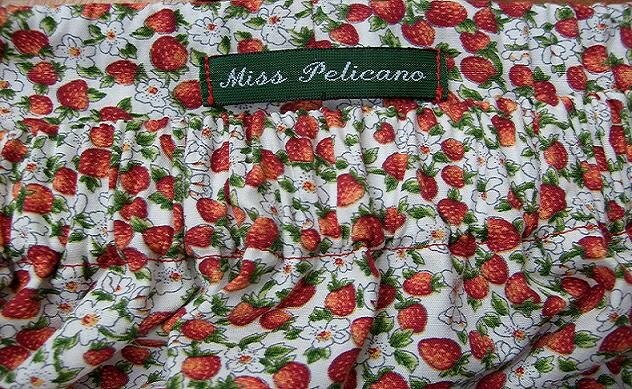 Até que enfim que há coisas novas no Miss Pelicano!!! Que habilidosa! Que sorte que tens em teres tempo para fazeres coisas giras! Quem me dera. Parabéns pela veia artística! Terás saído à tua irmã do meio??? I love those bibs. Your little model looks so radical. 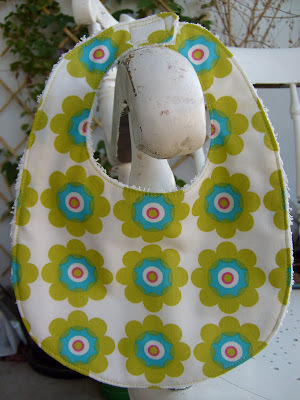 You can also try and check out http://ghcbibs.com for silicone bibs.